And a very festive Samhain to you all. Today is the day many things happen. First off, and I guess most importantly, today is the day that we take over John F. Dawson Law Office (we’re purchasing it) and it becomes John Taylor-Hood Law Office, PLC Inc. I don’t have a picture of that for you yet, but it’s a law office. They don’t photograph particularly well, you know. We’re extremely excited about this in that energetic and frenzied way that only moderately covers up the sheer terror at stepping off a cliff under your own wing power. The past months have been full of the millions of little details that go into setting up a business, compounded by the zillions of minutiae that go into owning and running a law office. Mix the two together and it’s rather a nightmare of paperwork, logistics all fed by an emotional rollercoaster. It feels rather like planning a wedding; you know that the big event will be the culmination of the heck of a lot of work, but there’s the growing realisation as you go that it also only marks the beginning of the heck of a lot more work for years to come. 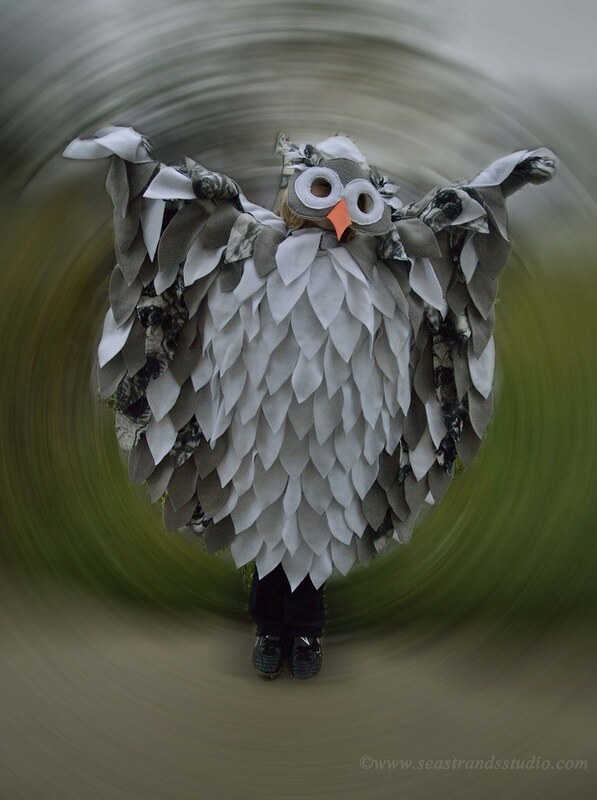 Katherine’s Owl Costume – photo taken before the sun was up this morning. I made this one. The cloak is effectively a poncho, covered in layers of polar fleece feathers. The mask is several layers of fabric and stiffener, with a foam beak. I sewed the mask to an old running cap that had been debrimmed, so it stays on without elastic and can be flipped up for visibility. It was a tonne of work, but I think it’s not half-bad. She’s thrilled, which is what counts.